Prophecy had it that the Muslim Ummah would gradually drift away from the true teachings of Islam. The Unity of Allah, the status of Hazrat Muhammadsa, the meaning and interpretation of the Holy Quran would all be misunderstood. The true essence of Islam would be abandoned and only ritual would prevail. The unity of the Ummah, which was once its pride, would become a thing of the past and sect after sect would emerge, each declaring the rest out of the pale of Islam. Islam, that meant and stood for peace, would become synonymous with violence and bloodshed. The prophecy goes on to tell that it would be in that dire state that a man would appear. He would be from among the Muslims but appointed by Allah the Almighty directly. He would dedicate every moment of his life to rejuvenate the lost glory of Islam. 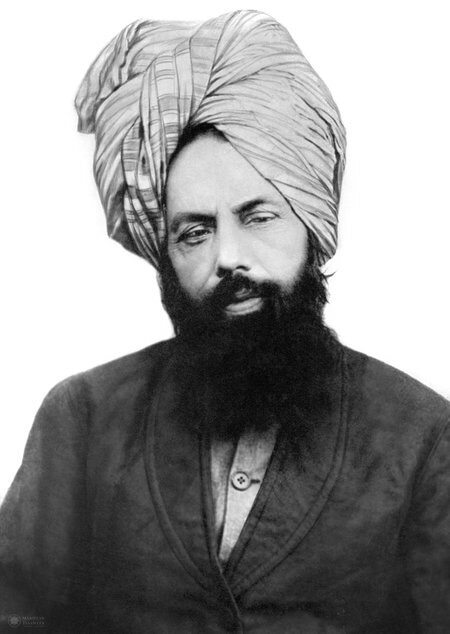 He would be the promised Messiah and the awaited Mahdi, embodied in one. 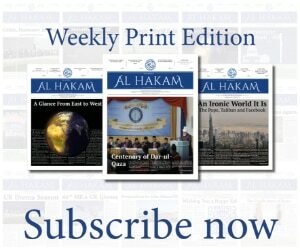 He would create a community – “Al Jamaat” – which would be the last nation to assemble in the name of Allah the Almighty. This prophecy was made by none other than the Holy Prophet of Islam, Muhammad, peace and blessings of Allah be upon him, and was destined to be fulfilled to the letter; and so it did. It took fourteen long centuries for the Ummah to reach that fragile point when Allah the Almighty commissioned the Promised Saviour of the Muslim Ummah. This saviour was none else than Hazrat Mirza Ghulam Ahmad of Qadian, peace be upon him. He took the first Bai’at on 23 March 1889, thus founding “Al Jamaat”— the last Jamaat to be established by Allah the Almighty. It is the fulfilment of a grand prophecy of the Holy Prophetsa of Islam that is celebrated on 23 March. The success story of this great man of God and his Jamaat, as you read these lines, spreads over one hundred and twenty-nine years. Look at it from another angle and you see this story spread over 1529 years; Why not add the 1400 years of the prophetic build-up?